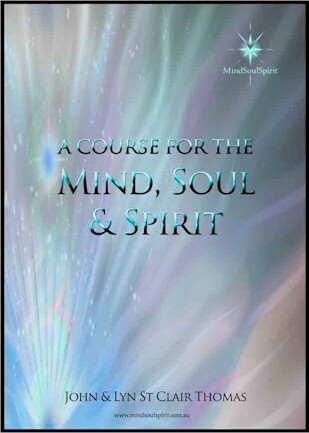 A Course for the Mind, Soul and Spirit is a prerequisite for anyone wanting to attend more of the MindSoulSpirit seminars. It introduces practices such as meditation, contemplation, use of the senses and visualisation and explains their benefits as tools for effective living and for spirituality. It also introduces a wide range of metaphysical subjects and the development of psychic expression, including conscious astral experience, perceiving and understanding auras, nature spirits and angels, and scrying. An emphasis is placed on spirituality and approaches for living a spiritual life. This course is held around once a year or as intuition requires. A website edition will be available for purchase in 2008 through the MindSoulSpirit Online Shop. Click HERE to express your interest in the web edition.